Emergency Roadrunner 24 Hr Roadside Assistance offers minor mechanical adjustments, not requiring parts or supplies, in an effort to enable your vehicle to operate under its own power and get you back on the road. When we arrive at the scene, an attempt will be made to start your vehicle. If the vehicle cannot be started, we will test the vehicle battery and charging system and attempt a jumpstart. If we cannot jumpstart it, we also offer a battery replacement service with a battery made to withstand the rough Texas climate. 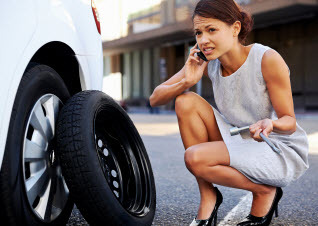 In the event of a flat tire, Emergency Roadrunner 24 Hr Roadside Assistance will install your inflated spare tire on the vehicle. When you run out of gas, we will deliver a supply of fuel that is enough for you to get to a service station. We also deliver other fluids your vehicle might need too like coolant for your radiator, transmission fluid for your transmission, power steering fluid in your power steering pump or brake fluid in your master cylinder. Our roadside vehicles are stocked so that we can provide whatever fuel or fluid your vehicle needs. If you accidently lock your keys inside your vehicle, we will send one of our experienced road service technicians to gain entry. 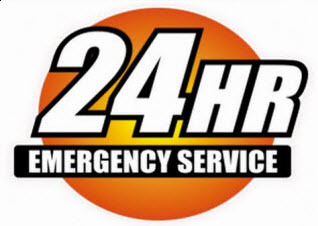 No matter your roadside assistance emergency in Denton County, Emergency Roadrunner 24 Hr Roadside Assistance is ready to help, so give us a call right now in order to get you going again! Argyle | Aubrey | Bartonville | Bolivar | Carrollton | Coppell | Copper Canyon | Corinth | Corral City | Cross Roads | Dallas | Denton | DISH | Double Oak | Elizabethtown | Flower Mound | Fort Worth | Frisco | Hackberry | Haslet | Hebron | Hickory Creek | Highland Village | Justin | Krugerville | Krum | Lake Dallas | Lakewood Village | Lewisville | Lincoln Park | Little Elm | Northlake | Oak Point | Pilot Point | Plano | Ponder | Prosper | Roanoke | Sanger | Shady Shores | Southlake | The Colony | Trophy Club | Westlake and surrounding areas.